The one principle that rings true, from Genesis to Revelation, is that Biblically, God blesses those who follow, obey and commit their lives to Him… “Praise the Lord. Blessed is the man who fears the Lord, who finds great delight in His commands. His children will be mighty in the land; each generation of the upright will be blessed. Wealth and riches are in his house, and his righteousness endures forever,” Psalm 112:1-3. The Psalmist begins with a call for us to praise God …but immediately applies Himself to praise the people of God; for whatever glory is acknowledged to be on them comes from God, and must return to Him; as He is their praise, so they are His. We have reason to praise the Lord that there are a people in the world who fear Him and serve Him …and that they are a happy people, both which are owing entirely to the grace of God. There are more than 2000 references to money and possessions in the Bible… There are more verses about money than about heaven, hell, salvation or Yeshua (Jesus). And today, there's nothing in our lives, church, home, school or work that isn’t somehow tied to money. Of the 38 parables, Yeshua (Jesus) related, 16 deal with how we handle money. One out of 10 verses in the Gospels deals with money and possessions! We also find that in the four Gospels, Yeshua talked 10 per cent more about money then He did about heaven and hell combined! Most people think “money” when they hear the word “prosper.” There is incompleteness in this thought because prosperity covers our entire lives; marriage, relationships, health, family, children, recreation …and yes our finances! 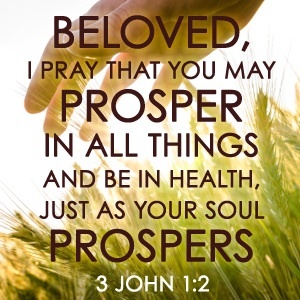 That's what the apostle John meant in 3 John 2, “Beloved, I pray that you may prosper in all things and be in health, even as thy soul prospers!” God wants us to prosper in every area of our lives, including our finances (Deuteronomy 28:8-13). “This book of the law shall not depart out of your mouth; but you shall meditate therein day and night, that you may observe to do according to all that is written therein: for then you shall make your way prosperous, and then you shall have good success,” Joshua 1:8. Both wealth and poverty are part of our belief systems, not a condition of being with or being without money. They have to do with a person's overall quality of life. They are based on a person's attainment or lack of tangible and intangible assets …things such as money, material possessions and resources, as well as love, time, relationships, living a purpose-filled life and physical health. 1. Use WISDOM it is more precious than rubies and you will become wise and rich... “Wisdom gives: a long, good life, riches, honour, pleasure, peace….” Proverbs 3:1-23. 2. It is God who gives us riches and wealth… "God gives any man wealth and possessions, and enables him to enjoy them, to accept his lot and be happy in his work …this is a gift of God," Ecclesiastes 5:18-20. 3. We must put God first! It is God who gives you power to acquire wealth… “But thou shalt remember the Lord thy God: for it is He that gives you power to get wealth,” Deuteronomy 8:18. 4. If we fear God, wealth and riches will be in our homes… “Blessed is the man that fears the Lord ...Wealth and riches shall be in his house,” Psalm 112. 5. Put God first and honour Him and He will bless you… “In everything you do, put God first, and He will direct you and crown your efforts with success. Honour the Lord by giving Him the first part of all your income, and He will fill your barns to overflow …. "Proverbs 3:1-10. 6. Save for the future… "The wise man saves for the future, but the foolish man spends whatever he gets," Proverbs 21:20. 7. Proper preparation for the future... “A prudent man foresees the difficulties ahead and prepares for them; the simpleton goes blindly on and suffers the consequences," Proverbs 22:3. 8. Hard work produces wealth… “Lazy men are soon poor; hard workers get rich," Proverbs 10:4; 13:4; 24: 3, 4; 14:23; 28:19; 12:24. 9. 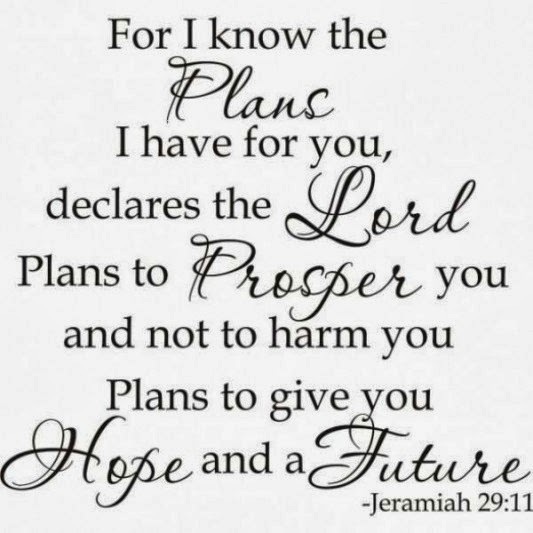 Plan for future… “When a good man dies he leaves an inheritance to his grandchildren,” Proverbs 13:22. 10. Pray for - and bless Israel financially... (Psalm 122:6; Genesis 12:3; Acts 10:31; 11:27 – 30; Romans 15: 25–27; 1 Corinthians 16:1 – 3; 2 Corinthians 8:1 – 7; 9:1–15). It doesn't say wealth and riches “might” be in his house …it says wealth and riches are! But God says this is determined on how you follow His Word…! To be “rich” is to be abundantly supplied to carry out God’s will for your life and have surplus to help someone else, whereas “poor” is the exact opposite. When you are poor, you are incapable of carrying out God’s will for your life as it pertains to helping anyone else. The principles the world uses to gain wealth were in the Word of God all the time! As we walk in harmony with the Bible in the area of our finances and claim the promises God has made to us regarding living the abundant life, we will then lead the world as the head, not the tail. Wealth creation and prosperity is as much a faith-trust walk with God as anything else is. That's why today the Church and Believers as a whole are well overdue in becoming financially literate and wisely handling the wealth that God has entrusted! It is important to look at money and prosperity with a balanced approach to the Bible… We want to stay away from one extreme or the other. So ask yourself, "Is God magnified by my scraping along, living hand to mouth with no money to support His work…? Or is He magnified if I'm living extravagantly, focusing all my attention and time on money and worldly possessions…? The answer to both is "No!" There must be balance and common sense in our material lives and in our attainment of wealth and prosperity. It's important to stay out of the ditches on both sides of road because both lead to a misunderstanding and misapplication of the funds He has allowed us. To be truly balanced in respect to wealth and prosperity, and study the subject of money in the Bible, requires looking at all the evidence. The thing about God’s Word is that it levels the playing field. Racial or social background doesn't matter. Adhering to the teaching of God’s Word will benefit whosoever will act upon it. Learning God’s Word and doing God's Word are the only requirements for success. We have learnt that God wants to prosper all His children in every area of their lives, including their finances! Always believe in yourself and esteem others and believe in the dignity and morality of your work or business. Extend the connectedness of your network to many people. People help people. Also remember that nobody owes you anything! Get to know yourself, your limits and know your goals. Nobody is perfect – don’t be too hard on yourself and always pursue perfection. Live a balanced life and time with your family. Lead consistently and constantly … but remember Change is inevitable – change the changeable whilst clinging to the unchangeable. Always Look ahead and learn to foretell the future. It’s important to know where you going! Know your finances that God has given you – money is not evil when using it for good. Always act rich by always trusting God – give away 10% of after taxable income – its Biblical. You will be blessed! Never retire! There is much work to do and it keeps you healthy. 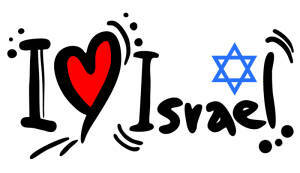 Love and support the Jewish people and Israel – financially and in prayer. It is the heart of God! God is the greatest giver of abundance and prosperity... It is His will that we prosper and enjoy the "good things" in life. Anciently, God made Job the richest man in the East. Once Job repented of his sin, God gave him "double his original wealth" (Job 42:10). God prospered Joseph abundantly (Genesis 39:2-3). God promised the Israelites great material wealth if they obeyed Him (Leviticus 26:3-5). "It is God that gives you power to get wealth," Moses reminded them in Deuteronomy 8:18. Solomon, another exceedingly wealthy ruler, said; "Every man also to whom God has given riches and wealth and hath given him power to eat thereof, and to take his portion, and to rejoice in his labour; this is the gift of God," Ecclesiastes 5:19. If God wants everyone to prosper and live abundantly, then why are so many people weighed down with debts and financial worries…? God will not bless anyone who is breaking His laws. We have to put God first in everything! If we are putting material goods before God, then God, in order to correct this, may withhold the prosperity that He would much rather give us! We must realize that God is the Creator of all things including the air we breathe and it is He who claims ownership of all that exists (Deuteronomy 10:14; Psalm 50:10,12). Understanding this important biblical principle is in fact the first key to financial success! The Bible, accordingly tells us that all "our" money and "our" income rightfully belongs to God… "The silver is mine, and the gold is mine, says the Lord of hosts," Haggai 2:8. 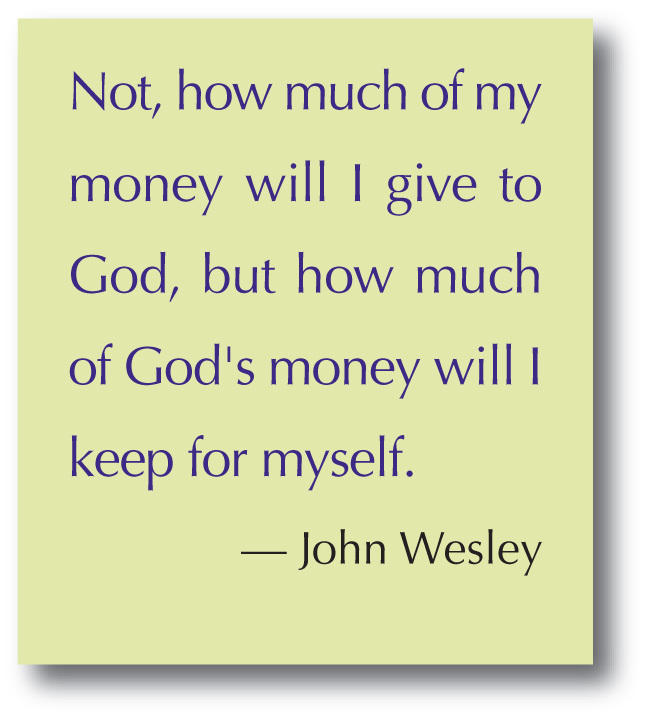 This principle is important to remember when considering how we ought to manage our finances. What we may earn in wages or receive as a return on investments is not really ours …that is, not until two claims on our income are first satisfied. One claim is taxes. Yeshua (Jesus) said; "Render therefore unto Caesar the things which are Caesar’s …" BUT, the first claim is God’s claim. The Lord concluded that verse "…and (give) to God the things that are God’s!" Matthew 22:21. With this statement, Christ pointed to a fundamental financial law that we must keep if God is to be able to bless us with the prosperity He promises and that is, the law of tithing! We have been tithing for many years and can witness that God is faithful and true to His Word! Let’s analyse how God’s Law Regulates our Income… God’s law, confirmed throughout the Bible, is that the first tenth, or "tithe," of every individual’s income be paid to Him via His chosen servants and Church. God is a God of love (1 John 4:8, 16). He knows all our needs and wants …and has our well-being in mind. He is concerned for us and that is why He has made this law regulating our income. God’s law concerning what we earn is in fact, a deal that He has made with us. Consider this… God allows us to work on His Earth, to use its resources, its forces, minerals and energies and so on. Whatever occupation or profession, we are actually working in partnership with God! When we stop and analyse this, we must admit that God surely is very generous and supplies about 90% of everything we do or produce and only requires 10%. So our God doesn’t claim 90% of the proceeds, or the income …He doesn’t claim 50%, or even 30% or even 20%! God is exceptionally generous! He has reserved for His use only 10% of our income and, when we give Him our 10% only then does God declare that the other 90% becomes legally ours. Our nine-tenths actually does not belong to us until we have paid God His tenth. (Malachi 3:10) That is God’s law and it works! In the Old Testament, Leviticus 27:30 and Numbers 18:20-21 the details of tithing show how the people of Israel were to tithe Biblically in support of God’s religious system. Even after Yeshua’s (Jesus) death - the Apostle Paul called it “tithing,” which was confirmed by Christ - a law (Matthew 23:23; Hebrews 7:4-14). Today, true believers of God’s Church use the same method of “Tithing” to finance and support God’s work in a dying world and to fulfil the Great Commission and preach the gospel to every creature about the soon-coming Kingdom of God …the very message Christ preached we need to do the same to this unhappy, debt-ridden world, but to do this it takes finances. God’s system of tithing is a financial law. It is sure to bring financial blessings. More importantly guaranteed to yield tremendous spiritual dividends! Yeshua (Jesus) said; “For where your treasure is, there will your heart be also,” Matthew 6:21. That, too, is a law. If our treasure is in this world, then our whole heart and interest is in this world and not in the Kingdom of God. The Lord also said; “But seek you first the kingdom of God, and his righteousness and then all these material needs will be added to you,” Matthew 6:33. We are to seek God first, and He will see to it that our needs are met - even in hard times. We are to seek His Kingdom with all our hearts! 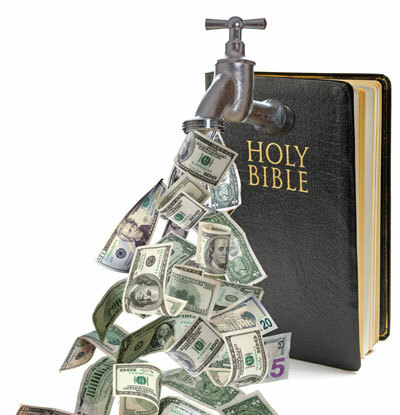 Yes, tithing is a law that produces manifold blessings... Why…? Because it reinforces God’s way of give and actually helps us to develop holy and righteous character. Yeshua (Jesus) taught; “Give, and it shall be given to you; good measure, pressed down, and shaken together, and running over, shall men give into your bosom. For with the same measure that you measure it shall it be measured to you again,” Luke 6:38. Notice this beautiful cycle! See how the principle also applies to tithing …God gives to us …and we give back to Him on a return circuit that which is rightfully His …and He gives us more! There is no way that we can ever out-give God. Truly it is; “more blessed to give than to receive,” Acts 20:35. When we honour God with our substance, then our own material needs …and even many of our wants and desires …will be supplied. In addition, God will shower tremendous “spiritual blessings” upon us. Yes, God wants us to prosper spiritually most of all. But He wants us to prosper in our personal finances too. Here’s the key: We must learn to put God first in everything! Backing and supporting God and His work in the Church and in Israel …which includes faithfully paying our tithes, must take precedence in our lives. When we invest our prosperity in God’s work, we express our recognition of God’s ruler-ship over our planet’s wealth and over us individually. We show our cheerful adherence to the first great commandment …worshiping the one true God and Him only. And the man or woman who keeps God’s financial law will reap the physical and spiritual blessings promised in His Word. God will open the windows of heaven and pour out blessings so great there will not be room enough to receive them - guaranteed! The Father’s heart for the prodigal nation – Israel…. While praying about the Jewish people we see the parable of the “Prodigal Son.” Just picture a large house and inside there is a festive party in full swing …but, the father of the family was not celebrating as he stood alone, silently longing with a sadness in his heart as he stood on the veranda with his eyes fixed on the horizon waiting for his lost son to return. He did not object to the party? No! And occasionally he would even pop in and smile at the bubbly crowd that were oblivious to the son’s absence! But, the master of the house simply could not …and would not join in the festivities until his beloved son came home. The Father here was God …and the house – the Church. The long lost son who the Father was waiting for with long-suffering was the “prodigal Jewish nation – Israel!” “’Is not (Israel) my dear son, the child in whom I delight? Though I speak against him, I still remember him. Therefore, my heart yearns for him; I have great compassion for him,’ declares the Lord,” Jeremiah 31:20. Tragically, most Christians DO NOT understand how blessed we are because of the Jewish people. It is NOT taught in most churches! Ever heard of Agabus…? You can find his name in Acts 11: 27 – 30 and Acts 21: 10. We can learn from the following Scripture… “At that time some Prophets from Jerusalem came down to Antioch. One of them named Agabus got up and predicted by the Spirit that there would be a severe famine all over the world. This happened during the reign of Claudius. So, every one of the disciples decided, as he was able, to send a contribution to the brothers living in Judea. They did this by sending Barnabas and Saul to the elders.” Acts 11: 27 – 30. Agabus went to Antioch (situated today in Turkey) – close to the Syrian border). It was here that the Christians were first called Christians. Originally they were called “THE WAY.” When Agabus prophesied that the famine was coming upon the whole earth, the way that they responded to that, was that they didn’t hoard, but that they took up and offering! And, we believe that they took up an offering for a very specific people group because that is important. That those who bless Israel will be blessed! Amazing way to respond, especially when the prophecy specifically stated that the ‘famine will come upon the whole earth’ – they took up an offering for the brethren in Judea. They knew something that we are only just learning about! They didn’t hesitate or say “we will pray about it.” They acted immediately (even though the famine had not yet arrived) because they knew that this was a responsibility. We see in the Book of Acts that the Jewish believers were required to be different. And, we the church of Yeshua - Jesus Christ are required to be unique and different. 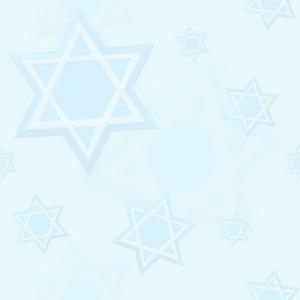 Let us never forget our Jewish brethren and our roots, and in doing do, we will never lose our identity. They took care of the needs of the Jewish believers through Barnabus and Saul (Paul) personally delivering the collection. They put their faith into action! “Right now, however, I’m going to Jerusalem to minister to the saints; for the believers in Macedonia and Achaia have been eager to share their resources for the poor among the saints in Jerusalem. Yes, they were eager to do this, and in fact they are obligated to help them, for if the gentiles have shared in their spiritual blessings, they are obligated to be of service to them in material things,” Romans 15: 25 – 27. The late Elie Wiesel, a Nobel prize recipient, author and Holocaust survivor, once compared the modern Jew to a messenger who had been hit on the head and knocked out. When he woke up - he could not remember the message; who had sent him; to whom he had been sent or the very fact of his being a messenger! “Theirs is the adoption as sons; theirs the divine glory; the covenants, the receiving of the law; the temple worship and the promises. Theirs are the patriarchs, and from them is traced the human ancestry of Christ, who is God over all, forever praised! Amen,” Romans 9:4-5. Paul’s words here open up for us Israel’s purpose in the New as well as the Old Covenants. Here he pours out his heart for Israel, giving us one reason after another why he cannot shake his “unceasing anguish” for the Jews. For many years we read this passage largely as a lamentation, like a gut wrenching sigh, as if the apostle was mourning the colossal tragedy of the Jews, who were given so much, missing their Messiah Yeshua (Jesus) and the day of His visitation! But, this is not Paul’s main point in these two all-important verses. Paul was not bemoaning anything here as much as he was splendidly describing Israel’s treasured heritage and prophetic destiny! Paul was enumerating blessings still resident in Israel and profiling her identity and purpose. He was burdened both for her national loss and fulfilment in world redemption as he invested in Israel as a blessing for the nations and that God’s irrevocable gifts and call on her (Romans 11:29) are for the benefit of others. Israel’s purpose on earth relates to God’s strategy for reviving all peoples. Israel’s identity destines her uniquely to glorify God on earth by serving as a “light to the nations" (Isaiah 49:6) through the “Light of the World,” Yeshua (Jesus). The word “Jew” comes from the word “Judah” one of Jacob’s twelve sons and progenitor of the Tribe of Judah, into which Yeshua (Jesus) was born The name “Judah” means “praise” or “thanks.” Judah’s Divine Nature Anointing - is to thank God and praise the Lord! After the first exile in 597 BC, the word “Jew” is used in the Bible synonymously with “Israel” to refer to the physical descendants of Abraham, Isaac and Jacob – echoing that the Jews were created for God’s praise! It is a proclamation of praise and blessing amid sorrow for the joy of the Messianic Age is ahead. For thousands of years, Jews and Christians have had to stand firm through suffering, just as our Lord, Yeshua foretold. Though times of trouble and distress in this world are inevitable, they are pale in comparison to our blessings through ages to come and many of these blessings will be unleashed in a large part through Israel! Today, multitudes of Jews are coming to faith in Yeshua (Jesus) – the winds of change are Biblical and beginning to recapture Israel’s ancient mission. Is it coincidental that at the same time Yahweh and Hebrew roots are also being revealed to the Gentile nations of the earth as never before…? When God blesses Israel, He reveals Himself to the ends of the earth. As more Jewish people join the global chorus praising the Messiah, Yeshua, expect a world-wide awakening! If Israel’s corporate disobedience and rejection of Messiah has resulted in salvation for the nations;”…what will their acceptance be but life from the dead?” Romans 11:15. We encourage you to read Romans Chapters 9-11! May God prosper you and your family abundantly in every way!